Sank in the Indian Ocean 22 August 1941 after catching fire 37 miles from Sandheads, India. Propulsion: Two single ended boilers, one 1,200ihp verticle triple expansion steam engine, one shaft. 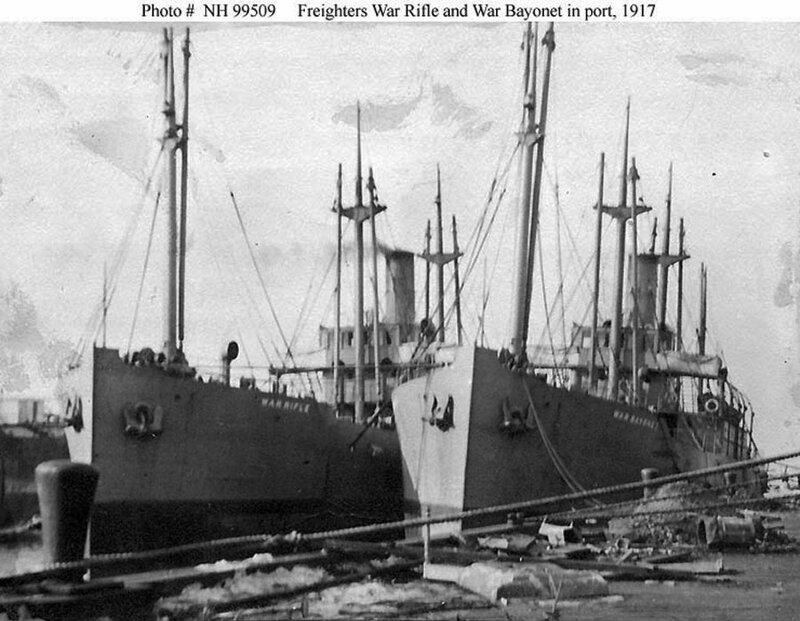 Dictionary of American Naval Fighting Ships: USS Lake Bridge, a 1,984 gross ton mine carrier, was built as the civilian ship War Rifle at Toledo, Ohio. Renamed Lake Bridge by the United States Shipping Board, she was chartered by the Navy in December 1917 and placed in commission as USS Lake Bridge in February 1918. Initially employed carrying coal in the western Atlantic area, Lake Bridge began the first of three voyages to Scotland in May 1918. On all of these trips, she transported mines for deployment in the great North Sea Mine Barrage that was intended to hinder hostile submarine activities. On 5 June 1918, while on the return leg of her first mine-carrying run, Lake Bridge engaged the German submarine U-156 in a half-hour gun battle. Following the end of the war, she was again used as a cargo and coal carrier along the U.S. east coast and in the Caribbean. 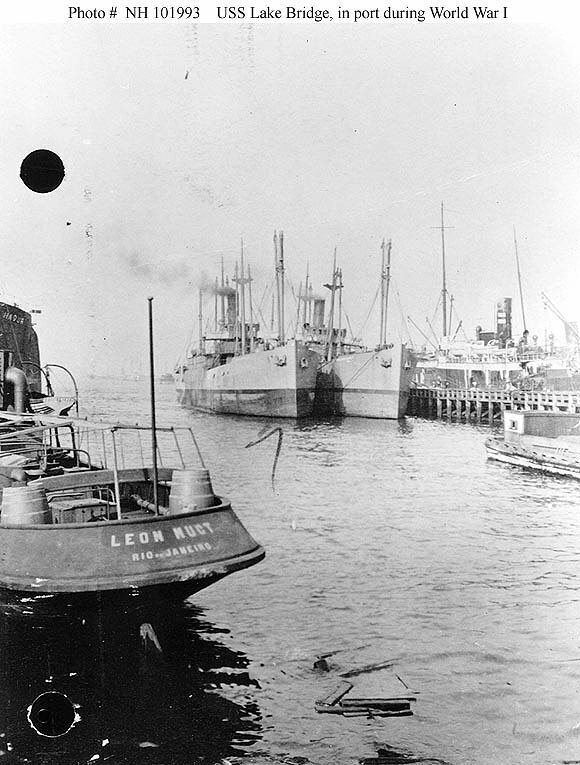 USS Lake Bridge was decommissioned and returned to the Shipping Board in August 1919. She later entered the west coast lumber trade as the S.S. Cascade. Sold to a Latin American shipping company in about 1940, she was lost in the Indian Ocean in August 1941.